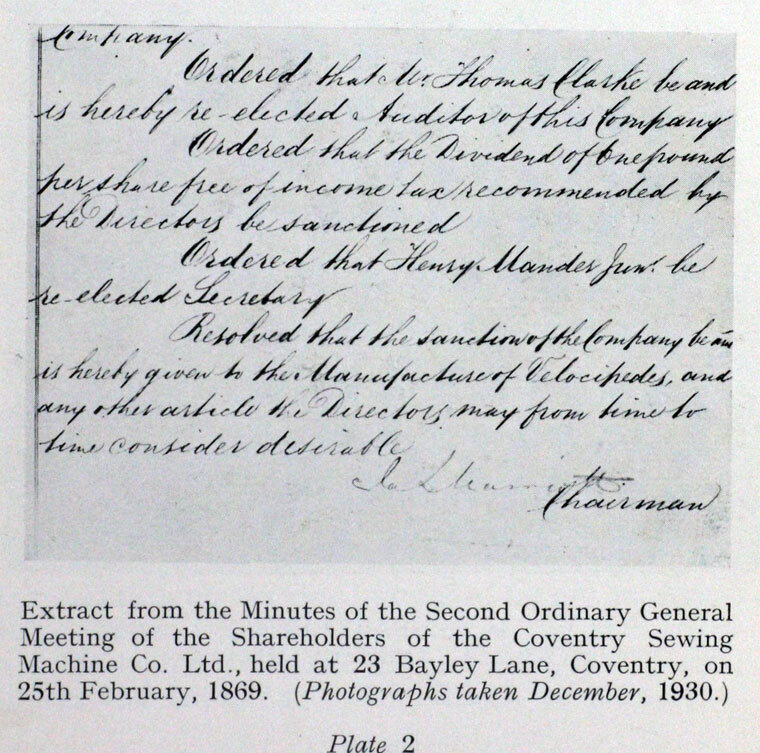 Extract from Minutes of the company in 15th February 1869. From 'Bartleet's Bicycle Book'. Extract from Minutes of the company in 25th February 1869. From 'Bartleet's Bicycle Book'. 1868 July. 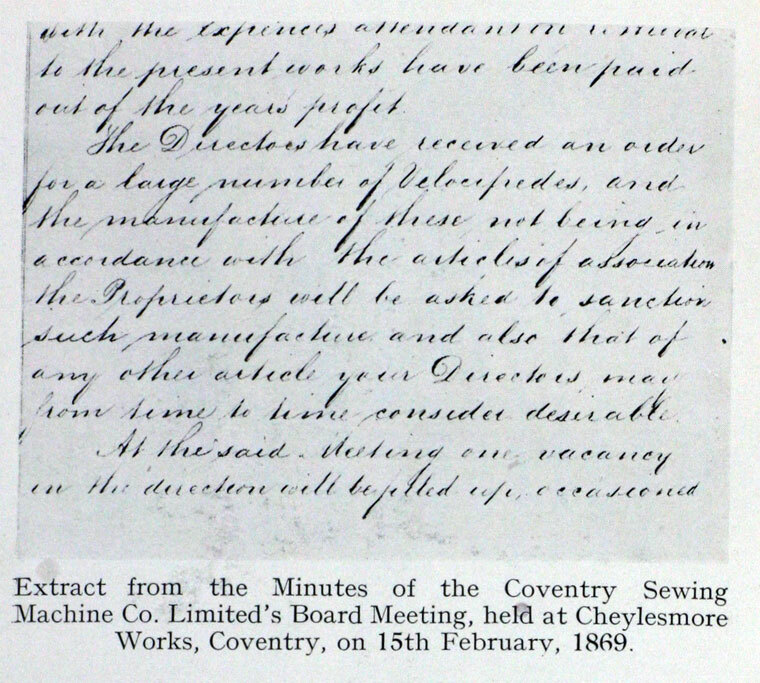 Mention of the Coventry Sewing Machine Co in a minor court case. 1868 Their Paris agent, Rowley B. Turner (Turner's nephew), brought one of the new French "bone-shakers" (see Michaux Velocipede) to the factory and the company soon started making bicycles. He obtained an order for 400 velocipedes to be exported to France but the Franco-Prussian War forced the company to build up the home market instead. 1883 The Coventry Sewing Machine Co was listed to be struck off the register of companies. Part of the original building at Cheylesmore was used by the Company's direct descendants Swifts of Coventry Ltd to manufacture cycles until the end of 1930. This page was last edited on 29 October 2014, at 10:56.